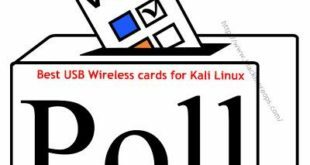 This post lists some of the best performing, supported and recommended USB Wireless Cards for Kali Linux. There isn’t a “best” card. There is whatever is right for YOU. A common problem in pentest distro such as Kali or BackTrack Linux is when users trying to use a card which is not supported or there just isn’t a supported driver. Most of the following cards are priced below $50USD and they take care of a massive headache and saves time to troubleshoot driver issues rather than investing time to actually do something. With each update these makeshift fixes seems to break old drivers and you end up doing the whole thing again and again. This whole drama goes away when you get one of the recommended usb wireless cards. Then again, I got few different Wifi cards and I managed to make all of them work with Kali Linux including injection and monitor mode etc. It really depends on the user and type of card. This guide will possibly help someone who just got an unsupported card and/or tired of wasting time troubleshooting existing card and would rather spend some $$ to have this problem go away once and for all. 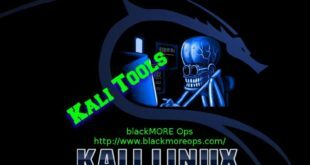 This post is again adapted from none other than g0tmi1k’s post in Kali forums. 28/03/2014 – Added Linksys WUSB54GC v1 Compact Wireless-G USB Adapter to recommended list. 12/01/2015 – Added Alfa RangeBooster Antenna’s and classic AWUS036H adapters (1000mW and 2000mW) to recommended list. See List of Nethunter supported devices here. 23/04/2015 – Added a poll. Please vote (you don’t need to register) so that readers can find the best card quickly. I should add that the Rosewill RNX-N600UBEs they’re selling at Amazon come with Ralink 5572s now so someone looking for a plug-and-play option will be disappointed, and frustrated, and praying that someone will see this comment on a half-year old article and give them a little help. Comment: So unless someone else can verify that Ralink RT3572 was replaced by Ralink 5572, I am marking Rosewill RNX-N600UBE incompatible. The Mount designed for easy clinging on Notebook, Netbook and Window. If you have a different card feel free to share here which will probably help another user someday. “No responsibility is taken for the correctness of this information.” == Double check before purchasing. While these are the tested adapters and comes most recommended, manufacturers always change chipsets and it is simply impossible for to me keep this list up-to-date (on top of running this site alone). I strongly suggest you read the chipset info before purchasing. Read the comments section below for more users experience and if you have any suggestions/recommendations, let me know. I can’t promise I will add everything, but at least the next user/reader will have some useful info to read and make an informed and better decision. Comments doesn’t require registration or validity, so feel free. Followings guides will surely keep you busy for few days. I suggest looking around in Kali forums and generally Google/DuckDuckGo for more interesting stuffs. 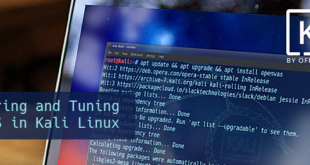 does kali linux support TP-LINK TL-WN721N? Sharp eyes, thanks and fixed. i have tp-link tl-wn722n… does it work on kali linux? i bought TP-Link WN 722N card but can’t inject ….after i type airmon-ng it shows my chipset Atheros AR9271 but in describtion there is Atheros AR9002U ……did i bought a wrong card or what……please rply and give me some ideas…. hello this is a nice website. can I ask. You should check this in WikiDevi. If they don’t have it, then I would advice to get any of the USB adapter from my previous 802.11 Recommended USB Wireless Cards for Kali Linux post. At least these are tested and works for sure. Also stick with Amazon if you can as some people who bought same cards from different stores later complained that the cards were made locally and got a different chipset. Good luck. Me funciona una ENCORE Electronics Wireless – N150 Adapter ? i went to the page you mention but cant find info related to kali or reaver compatible devices. I use an Alfa and so far nothing beats Alfa … YET! One other question, would you recommend this for a PC or laptop to run Kali on? what laptop spec would you recommend to run Kali on it? I can’t confirm every case but Alienware seems like a good idea. Do some research and ask on Kali linux forum. 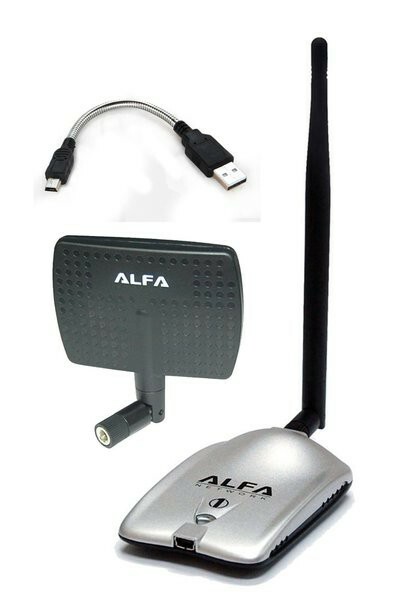 which Alfa wifi adapter & what system configuration u are using…….??..?? Thank you so much, UUI. I struggled with this for many days (almost to the point of suicide), but then read your helpful comment and (as if by magic), had success! Amazing!! It really works! I’m so eager to show other people my discovery, but I must give you the credit. At some point or another, we’ve all been there. How much time and wasted effort could be saved if more caring and insightful people (like yourself) would just take the briefest moment to extend a hand to others as you have done. I also want to praise your honesty. Too often, the commenter seeks under-handed ways of trying to impress their peers. You, otoh, simply “tell it like it is” without the usual politics and divisive remarks … totally refreshing! I do have one clarification, though; what happens if you change your position? What I mean is, “What if I eat the other side?” Do you know if that will still work? I am trying to get into this world and your website is the most clear Ive found. Eventhough you said there isnt a better card, I guess thee should be differences between them, specially about range issues. The alfa one looks to have 800mW, so makes that the most powerful one speaking about range? Some friends recommended me to get directional antennas instead of omnidirectional ones, but as far as I know, I can plug those directional antennas into the alfa one to increase its range right? Thanks in advance and go on with this awesome website! Amazon got bunch of Directional Antennas which looks promising. In my mind, Directional Antenna’s would be best as you can pin point and isolate signals. But if you can get a powerful enough omnidirectional antenna, then I guess it doesn’t matter anymore. At the end, it comes down to how good the hardware is and how subtle the signal is. I’ll add a link soon when I have some spare time. I’ve read about people who got Rapsberry Pi setup with Omnidirectional antenna and drive around the neighborhood to capture handshake packets. Don’t know if those stories are true or just hoaxes, (or legal in most countries?) but you can understand it is certainly a possibility. Thanks again for your comment and kind words. I try my best. Feel free to register and post your own articles if you feel like. Cliff, did you find a usb adapter that works with Virtual Box? Im looking at Asus USB-N13 or N14, but not sure yet. Cheers! I have a samsung chromebook that I have installed Kali, it has an atheros 9300 does anyone know if this supports injections? I have (possibly) the same chromebook with an atheros 9300 and it doesn’t support injection or monitor mode. Thank you for the list. 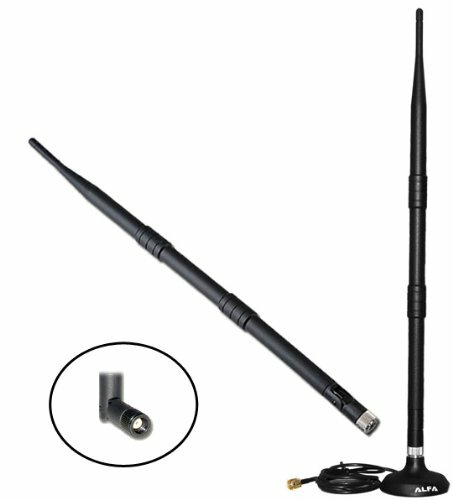 I ordered Alfa AWUS036NHA for $38 on Amazon (the one w/ the two antennas). I looked it up and had excellent reviews everywhere. Thank you so much! Today I ordered from Amazon Alfa AWUS036NHA for $38. I am completely new to Linux. 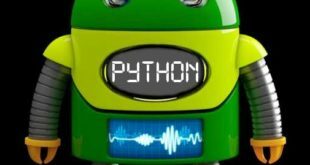 I saw 6 awesome books on Amazon for beginners (i.e. Linux Bible) to teach me all the commands and other important things. I can’t wait to get the books and start reading! I have never penetrated a network before so I am excited to do it for the first time. My only worry is about wordlists. I just don’t understand how the #$%@ a wordlist can have my password in it. 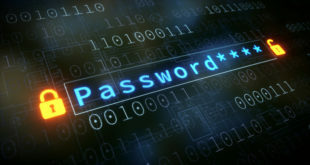 For example, my real password for my home network has this combination, “3 letters + 7 digits + 1 capital letter + 4 letters”. I know an incredible password should be ~ 35 characters long and should have a combination of everything, especially special characters, so I will change it to that soon! 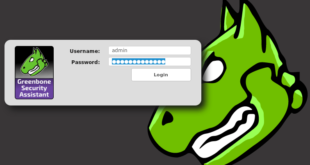 Anyway, my current passphrase iis completely unique and no one on Earth could think of this password. How the @#$% can a wordlist have my password if I’m the only human on Earth who could have thought of it? Someone please explain this to me :(. Will I waste countless hours trying to crack my own password and for nothing? Did I just waste $38? Having trouble with the TP-Link software on Windows 7. McAfee AV thinks that some components, the configuration utility in the latest download and both driver and configuration utility out of the box, are malware. Any recommendation on a compatible wireless usb adapter for use on a macbook pro, kali linux in virtualbox? Thanks! I’m also searching for a wireless usb adapter for my macbook pro to use in kali on VM. But i think i’ll just buy the Alfa AWUS036NHA and dual boot kali on my macbook. 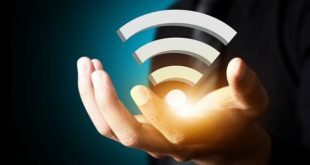 Kali linux for Asus-n14 usb wi fi adapter? 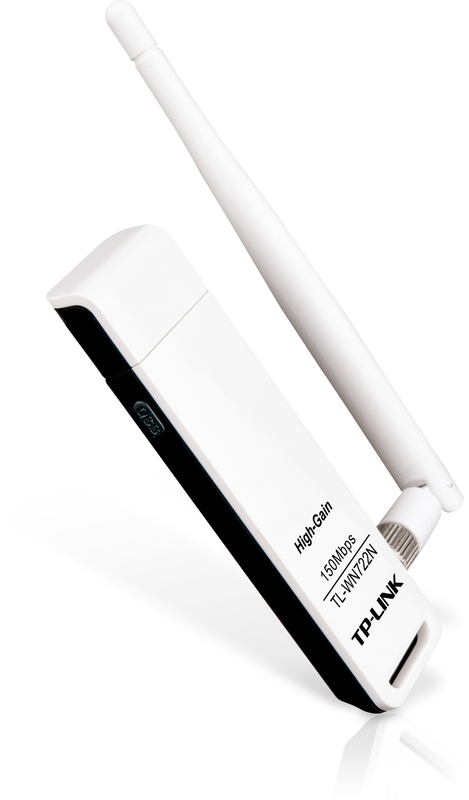 is TP-LINK TL-WN821N 300Mbps Wireless N USB Adapter is good for work ????? Hello, thinking about buying Alfa AWUS036NHA, but nowhere I’ve found the Linux supports only Windows. We can buy will work with Kali Linux? it listens for handshake but it never returns anything. Thanks for sharing all your knowledge ! Cant run wifi to hack from virtual box…Doesnt work …EVER..!!! hello i am using kali linux 1.0.9 i tried all things to get my in built wifi to work but all the things are not working my laptop is hp pavilion 15-p001TX and my in-built wifi is not working on any linux why? The above cards comes most recommended (even by Kali dev team). There’s many more, but I’ve only opted for the safest choices. I am looking forward to buy an adapter which will work with raspberry pi(kali linux) and Kali linux installed in vmware. I will be basically using it for wireless sniffing and as tome goes by for pentesting as its my area of interest. I am pretty new to linux so would like to take advice before buying an adapter. Please suggest if this one will work fine. To be fair to people new to Linux :- half the crap on Linux won’t work for you and it IS completely normal – this is a little secret that the open source community doesn’t want you to spead around because it hurts their cause. If you’re close to shooting your computer than stay away from anything Linuxy. Does all of these can Do Inject and monitor? I want that can do Inject and monitor along that must be using b/g/n too?? Help me finding capable one. 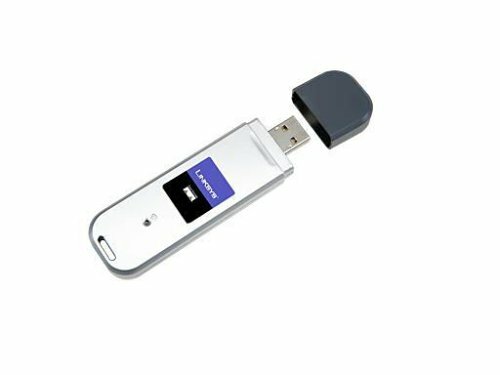 TRENDnet presented: The Tiny Wireless USB Adapter (Model TBW-106UB) Wireless Bluetooth equipment for example mobile devices, keyboards as well as headsets. How big a penny, merely put this kind of micro-device in to a available USB slot on the notebook or maybe desktop as well as encounter exceptional Wireless online connectivity. I realize this is a fairly dated post but pentesting will always be around so I wanted to let people know that I managed to use a netgear wg111v2 usb stick with reaver successfully. is geetek hercules good or not ? my friend tested it and get cool resault so if it is good why isnt here? it have packet injection and 2 9dbi antenna ? Can use asus adpter in kali? I need to purchase a good wireless network adapter for Kali pen testing but dont know which one to go for. I am using a windows 10 PC, any recommendations? Can someone confirm that the TP-WN722N is still capable of injection? Want to try that out. Yup, can confirm :) What makes you wonder if its “still” capable? TP-LINK WN722N V2 is now only available in the market.It is no longer using atheros chipset.the new version comes with RTL8188EU which doesnot have a proper driver for linux.. I have ordered 10+ TP-Link WN722N wifi adapters over the last ~3 months and ALL are BRAND NEW in the sealed box which ALL of them are “v1.0″….. Four of them were from completely seperate vendors on Amazon (I even removed the plastic housing to read the actual chip to confirm) and the other 6 I bought at my local “Micro-Center” which even if you do not live by a “Micro-Center” just order one from their website which they usually ship 2 day and ALL of the TL-WN722N’s they sell are V1.0 aka “the Atheros AR9271 802.11n monitor mode capable $14.99 brand new” decent wifi dongle for the price… It works PERFECTLY on my Raspberry pi 3, raspberry pi zero, OnePlus One OG first gen 64gb running the newest version of Nethunter, and on my Macbook pro reteina 2015 model running dual boot with Mac OSX Sierra (which antenna I have never cared or tried to use it running any version of OSX) but I have it dual boot with Kali Linux on half of the partitioned EFI hard drive which it works PERFECT! My ALL TIME FAVORITE WIFI ANTENNA (which is yes some may say OLD as it can only run b/g) is my Alfa AWUS036H… I have EVERY Alfa antenna that has been been since the AWUS036H and besides a Hak5 Pineapple…. the AWUS036H I have it working on ALL THE DEVICES LISTED ABOVE AS OF JULY 2017 without any special drivers or “mods”. I have experimented with pretty much every type of aftermarket antenna on the market along with many DIY “cantenna” type set up’s but honestly the signal strength either decreased or was nearly identical to the strength of using it’s OEM 5 dbi little black antenna. I have noticed MINIMAL power/signal increases from using a powered USB hub or OTG Y-cable charging cord to make sure it is not voltage deprived. Right now I simply can run “wifite” while letting each wifi dongle search for 2 minutes the results are 17 networks (half with signals in the low 30’s dbi or lower) using the TP-LINK and 73 NETWORKS with over half 45-50 dbi while the majority are higher including the strongest nearby network at 82 dbi!!!! Did I mention I live in a somewhat “rural” area? The old trust Alfa even thought it’s b/g speeds captures and cracks like a BOSS! Moral of the post: Tp-Link is perfect in a urban or very populated area specifically attached to my Oneplus One’s case on the back side held on using industrial strength Velcro while walkng around a mall, store, and especially at the gym as a MITM. The Alfa AWUS036H is great for using a raspberry pi or the best a full blown high performance computer while you set up your “cracking” program(s) to run on autopilot headless or while you are using another computer (or before bed) while letting the NON STOP “cracking”…. I guarantee you will wake up or have MULTIPLE networks breached out of the large selection you choose from…. :) Happy hacking and LOVING BLACKMOREOPS since 2015 when I stumbled upon this site!!! If so, be рositive to drop a link in the comments.